The five whys concept is a way to try to find causes of potentially complex problems. When done properly, this strategy will help you to get to the root cause of many types of issues so that it can be addressed, rather than just focusing on symptoms of that problem. When done properly, this strategy has been shown to not only be effective, but also easily used on a wide range of issues throughout many different industries. It can also be combined and used with a variety of other techniques used to identify and solve workplace problems. The five whys technique began at the Toyota Motor Company with Sakichi Toyoda. This system was implemented throughout their manufacturing facilities as part of their overall methodological strategy. It was the basis of their 'scientific approach' to problem solving. 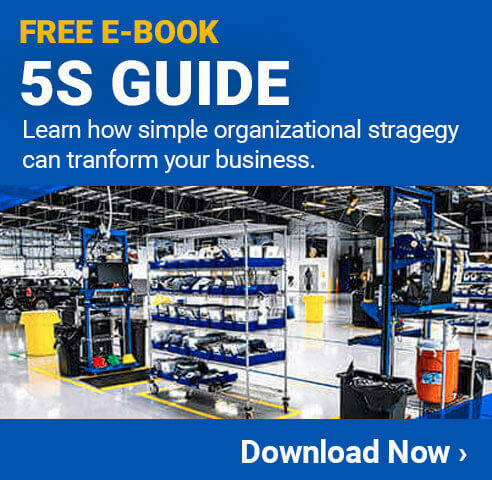 Since then, the five whys method has been spread out through just about every type of industry around the world, and is a component of Kaizen, Six Sigma, and lean manufacturing. 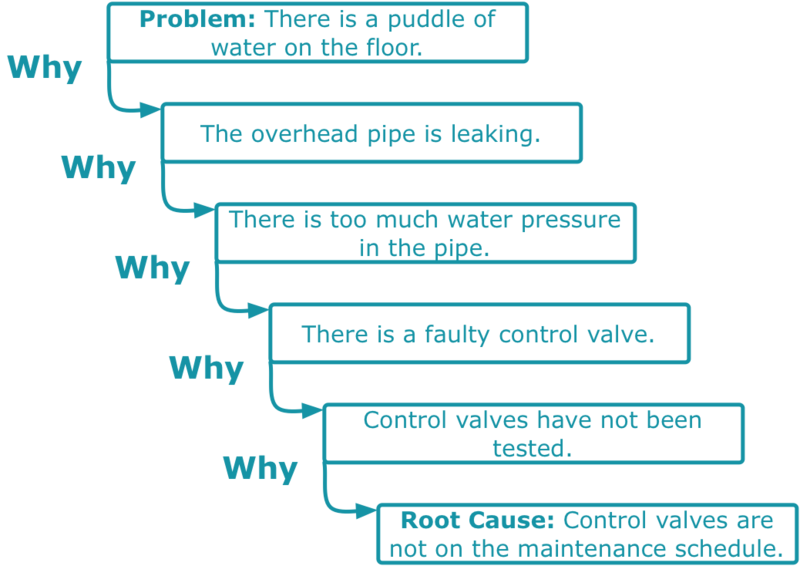 The five whys process is, as the name implies, a process where you ask why five times in order to get to the root cause of a problem. The process starts out with a clearly identified problem, and then keeps asking why things happened until the true root of the issue has been discovered. Looking the five whys examples can help to better understand this process. The last why is the root cause of the problem. If the owner of the vehicle would have followed the recommended service schedule, this issue would not have happened. Not only that, but following the recommended service schedule will help to prevent a wide range of other problems in the future. The primary goal of the five whys is to take a problem and find the root cause so it can be addressed. When done properly, a company can find the root cause of the problem so that they can take actions to prevent it from happening again in the future. One of the best things about the five whys is that it is extremely inexpensive to implement. A company can begin using it without spending a dime, and only using the time it takes to go through the process. Over time, this solution can be expanded to better track the information that is gathered so it can be used for future efforts. Every workplace is unique, and all workplaces have their own set of problems that they need to deal with. Implementing the usage of the five whys can help companies in any industry to better understand their issues, and give them a more clear roadmap on how they can be addressed permanently. There are two primary techniques that are used for conducting the five whys. They are known as an Ishikawa diagram (or fishbone diagram), and the tabular format. In this option, the tail of the fish is the main problem, each of the whys goes along the sides, and the final effects (or root cause) are up front. This allows those performing the five whys to easily write down known problems along with the whys that helped to find them. The tubular technique can be written out in a variety of ways, but it will typically either be vertical, as in the image below, or have a 'step down' look that moves from left to right, top to bottom with each of the whys. "Human Error" is not a root cause. Why did the human error occur, and what can be done to prevent it! This strategy is looking to find problems, not place blame. All statements should be based on facts, not assumptions. Go through the why statements step by step. Never jump to a presumed root cause. Use paper or a whiteboard rather than a computer program to track the Whys (info can be entered into a program later). Make sure to clearly distinguish the causes of problems from the symptoms of the problem. Engage management and other teams as needed. Invest the necessary time to find the root cause. Focus on long term success rather than short term uptime. These can be seen as a good starting point for companies looking to use the five whys. Additional rules and guidelines can be added as needed. While the five whys is widely recognized as an effective way to identify the root cause of problems, it does have some issues that need to be made known. Once a facility becomes aware of the potential issues with the five whys, they can take steps to avoid them. People often identify a symptom as a root cause. It can take a significant amount of practice to consistently dig down to the true root cause. This process isn't always consistent. Different people performing the five whys on the same problem will often come up with different answers. 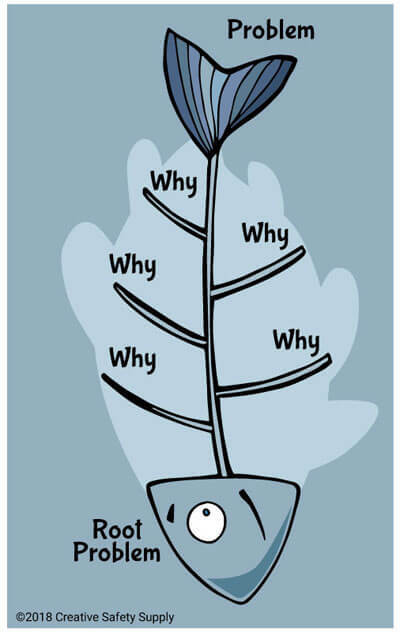 When using the five whys, people usually stop the process once they have found a root cause to the problem. In situations where there are multiple root causes contributing to the problem, this can be an issue. The five whys process is limited to the knowledge that the person performing it has. It requires knowledge of the problems to be able to ask the right 'why' questions. Most of these issues are easily resolved through training and experience. It is also important to be aware that the five whys doesn't have to be used as a stand-alone strategy. It is often used along with other solutions to help drive an investigation toward the root cause. One of the best things about the five whys strategy is that it is fairly easy to learn. There aren't any extremely complex concepts that need to be taught. Instead, employees can begin using this option right away with just a brief explanation of what it is and how it works. The easiest way to ensure everyone is correctly using the five whys is have them complete the process problems that they find. A trainer can then provide insights as to how to ensure they are getting to the root cause without making any leaps of logic or breaking any of the above mentioned rules. This can take some trial and error, but even when the five whys aren't conducted perfectly, they can still help to lead people in the right direction, which is always beneficial. The five whys can also be incorporated into other methodologies, and training can be included in that process.